Fend off mosquitoes with a homemade citronella candle. Here’s how to make one. 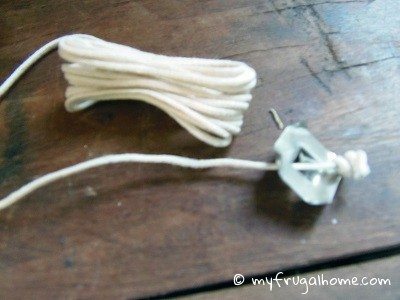 Stick a wick tab on the end of your wick. 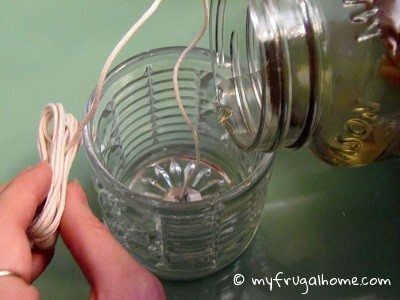 This will help to seat the wick at the bottom of your container. 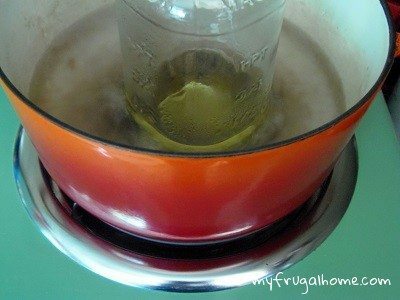 Melt the wax in a double boiler. This doesn’t have to be a fancy set up. Just stick your wax in an old jar, and place it in a pot of water. The main thing is that you don’t want to put your wax directly in the pot that you’ll be heating. It’s dangerous to heat it that way. 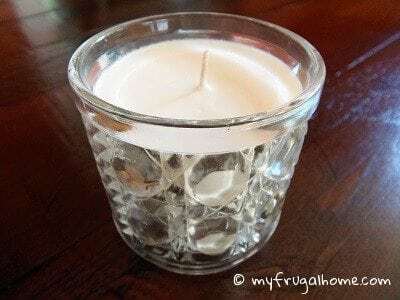 Center the wick in the bottom of your container, and pour a small amount of wax over it to hold it in place. Allow the wax to cool and harden. Return your remaining wax to the double boiler while you wait for it to harden. 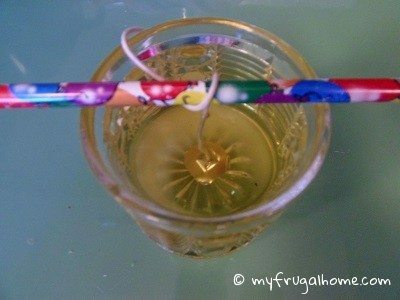 Wind your wick around a pencil, until it’s standing upright and there’s no slack. Lay it across the top of your container. 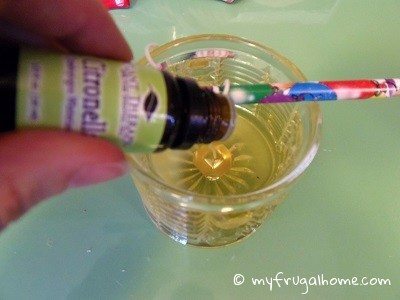 Then, add several drops of citronella essential oil, and stir them in. 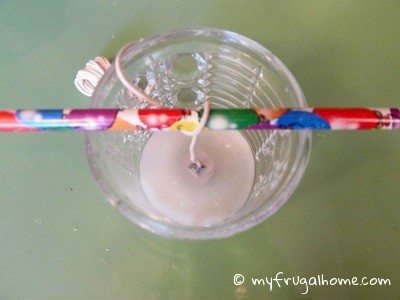 Allow your candle to cool. Then, top it off with a bit more wax, if needed. Often you’ll end up with a depression around the wick that needs to be filled in. 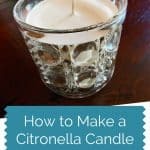 Trim your wick down to size, and your citronella candle is ready to use!